THE PUBLISHER: Solstice Publishing Inc.
SUMMARY: Chicago Homicide Inspector Aaron Randall faces his toughest case while dealing with doubts about his career and the potential of a romantic relationship. Jared Prescott, a Heisman Trophy winner and Vice President of a large and respected pharmaceutical company, is found murdered at a seedy motel. The investigation uncovers multiple suspects with multiple motives. When the body of his close friend and informant is found stabbed to death in a deserted alley, followed by the murders of two women, Randall suspects a conspiracy. 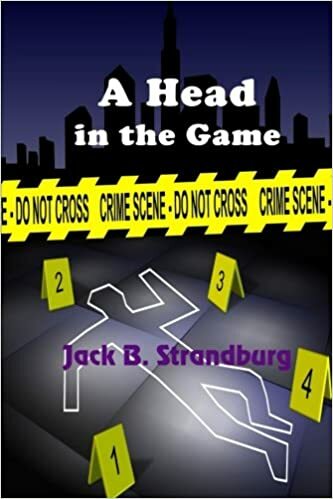 Randall is hamstrung during the investigation by pressure from the commissioner down the chain of command because the president of the pharmaceutical company, anxious for resolution to Jared Prescott’s murder, is a close friend with a Senator whose sights are set on the Oval Office. THE BACK STORY: This book emerged from a writing exercise from a book by Scott Edelstein. It suggested you are standing on a street corner and someone walks up and hands you a bag. Research was done mostly over the Internet, but I try to limit the need to do a lot of research. It’s hard to say exactly how long it took me to write it, but the idea started about 20 years ago. I didn’t work on it for long stretches over time due to working full time and other responsibilities. The delay occurred mostly because it survived a number of total rewrites. As I wrote more and read more, I realized the book had a lot of shortcomings, and simply did not live up to my (now) higher standards. WHY WOULD SOMEONE WANT TO READ IT? Multiple suspects, multiple murders, the involvement of a Senator, and the revelation that the killings were a coverup of a much bigger plan. AUTHOR PROFILE: As a retired IT professional, I make extensive use of templates I created using Microsoft Word and Excel. After several different approaches to writing fiction, I decided some time ago, working from a detailed outline with as many questions on character, setting, and plot asked and answered, is the preferred method.